Established in 1895, The Fine Arts Federation of New York advocates for design excellence in the five boroughs of New York City and beyond. As the only alliance of its kind, the Federation consists of nearly a dozen constituent organizations committed to the value of public design expertise in building inspiring public spaces, and to stimulating interest in the civic and social fabric of the city. As a child of the City Beautiful movement, the Federation has long championed the idea that a holistic approach to integrating architecture, landscape design, city planning, transportation, and public monuments can enhance the quality of urban life. Since its early years, the Federation has advocated for world-class streets and public spaces, championed innovative public works, and embraced the broader causes of historic preservation, municipal planning, and civic culture. The Federation is empowered by the New York City Charter to nominate professional members to the Public Design Commission, which reviews and approves works of art and architecture on city-owned property. The Federation also hosts public events to encourage dialogue about civic design, and periodically presents The Fine Arts Federation Award for outstanding public service to the arts, most recently bestowed upon writer and architectural historian Christopher Gray. 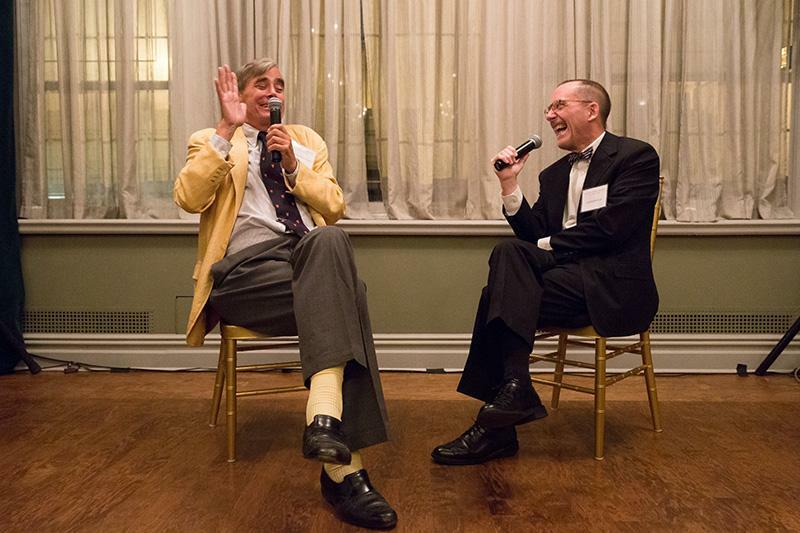 FAF Award recipient Christopher Gray in conversation with David W. Dunlap at the 2015 Annual Meeting. To learn more about the Federation, please visit its website. Or visit the Smithsonian's Archives of American Art, which holds more than a century's worth of Federation records. The Fine Arts Federation of New York is one of the Neighborhood Preservation Center's virtual office groups. For a full list of groups, please visit our website.